Watery eyes, sneezing -- the usual symptoms of hayfever sufferers -- but at a unique time of year. I've heard that the St. Louis area is a hotbed of sorts for molds (the outdoor types). I can't confirm that, but I know that mold is a bit of a problem all year round. Why are we so lucky? 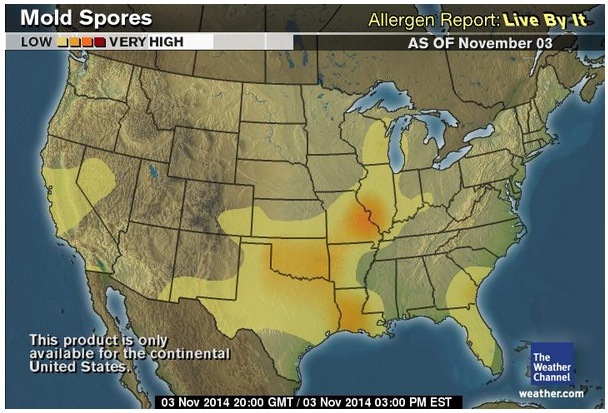 Molds are strong allergens. However, most people are not allergic to molds. 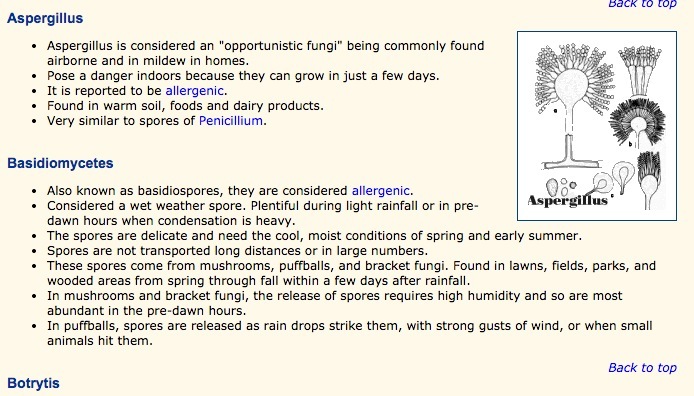 In many climates, for each pollen grain in the air there are 1000 mold spores. Mold exposure increases with cutting the grass, raking dead leaves, or working with hay or mulch piles. Really, that St. Louis County mold page is quite informative -- give it a look, especially if you're a St. Louis area mold allergy sufferer. Mould spores, of course! I haven't thought about it causing hayfever before, as the condition is almost always synonymous with the warmer months rather that the cooler ones. Hopefully your symptoms won't be that bad and cause too much nuisance. Yikes, I feel for you. I go through the same symptoms in March and April. I suppose moving to Arizona, for example, would alleviate your symptoms :-). I know about grass mold when it rains. I didn't make the connection to mowing and allergy flare ups to mold until reading your post. Oregon looks to be trouble free. Then again I've heard of a few people here suffering mold allergies indoors. THAT would be a nightmare. I sympathize, as I sneeze 10 times in a row. (I actually had to stop for a sneeze break this comment.) Mold, dust, pollen, you name it. We keep the Kleenex company in business. Does snow help? Rain?